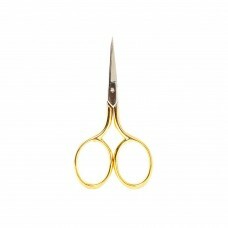 Bohin Gold Handled Micro Embroidery Scissors 2 3/4"
Excellent quality gold handled 7 cm (2.75") Bohin Micro Scissors. 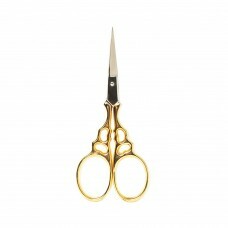 These extra small embroidery sciss..
Bohin Gold Large Finger Hole with Fine Points Scissors 3.5"
Excellent quality, hard to find, larger fingerhole 3.5" Bohin scissors. 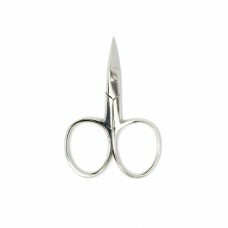 Suitable for all forms of ha..
One of the most popular embroidery scissors, these Bohin 3.5" heart design scissors in a Silver fini.. 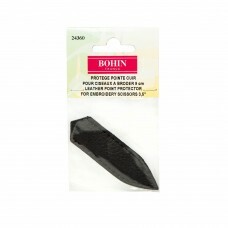 Protect the tips of your fine embroidery scissors with an elegant leather sheath from Bohin. 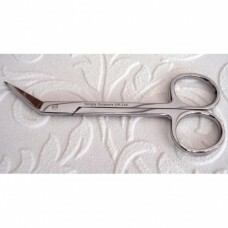 Size to..
Beautiful quality Bohin 3.5" extra fine point Left Handed embroidery scissors in a silver finish. 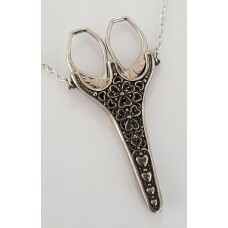 Ma..
Bohin Medieval Design Embroidery Scissors 3.5"
Excellent quality, beautiful silver Bohin Medieval design embroidery scissors 3.5” with an unusually.. 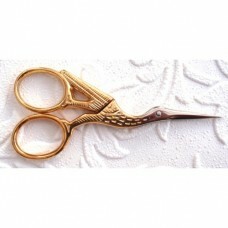 Excellent quality, unusual Rabbit design, Bohin 3.5" embroidery scissors. 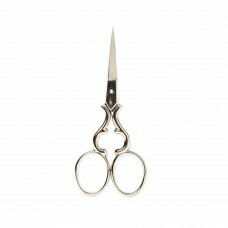 Available in three colours..
Bohin Silver 'Mini' Scissors 2.25"
Excellent quality silver 5.5cm (2.25") Bohin Mini Scissors. 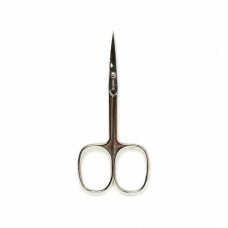 Made from an historical example, these e..
A traditional embroidery design favourite, the Bohin 4.75" stork scissors with sharp, long, very fin.. 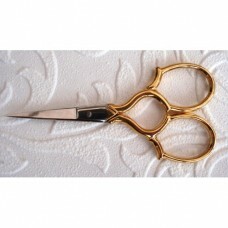 Excellent quality 3 1/2" embroidery scissors with a traditional and attractive design. 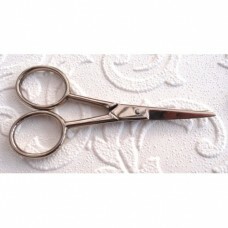 These scissor..
Embroidery Scissors Milanese 3 1/2"
Excellent quality 3 1/2" embroidery scissors with a traditional and attractive epaulette design. 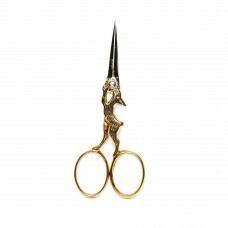 The..
Embroidery Scissors Rococco Gold 3.5"
Embroidery Scissors Stork Gold 3.5"
Excellent quality 3 1/2" embroidery scissors with a traditional and attractive stork design. 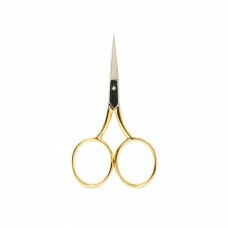 These s..
Embroidery Scissors Toledo 3 1/2"
Excellent quality 3 1/2" embroidery scissors with a traditional and attractive scroll design. These .. 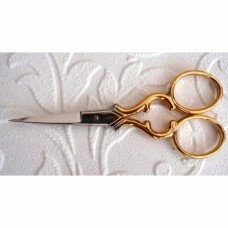 Extra small 2.5" quality embroidery scissors by Simply Scissors, suitable for an etui or small sewin..
Finny Dressmaking Shears 24cm / 9.5"
These are superb, lightweight German dressmaking shears made from ice-tempered steel. They have beau.. 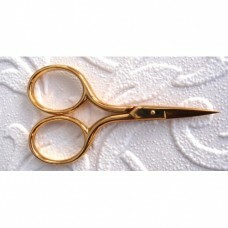 Excellent quality Gingher 4" Curved Embroidery Scissors. 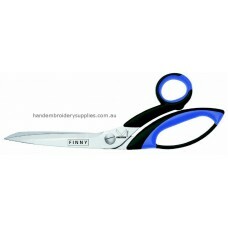 The curved, narrow blades and sharp points ..
Gingher is recongnized as the premier line of cutting implements in sewing, crafts and needle arts. .. 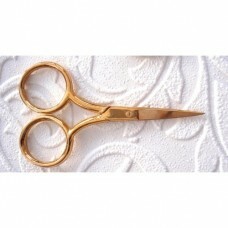 Excellent quality 3 1/2" specialist Goldwork embroidery scissors, also known as Metal Thread embroid.. 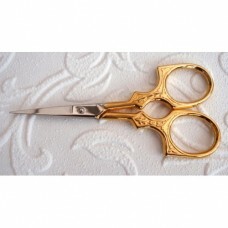 Excellent quality, perfectly angled, specialist Hardanger and Cutwork embroidery scissors. These sci.. 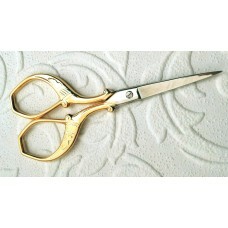 Excellent quality 3 1/2" specialist scissors for Lace, Applique and Whitework. 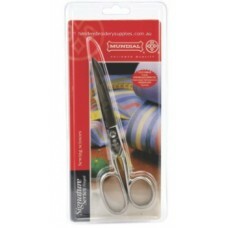 These scissors have a..
Mundial produce excellent quality scissors for different applications; this pair is for sewing. 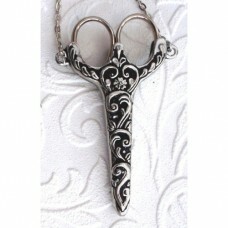 ..
Pewter Chatelaine Celtic Design 2.75"
Excellent quality Pewter Chatelaine and silver Etui embroidery scissors. 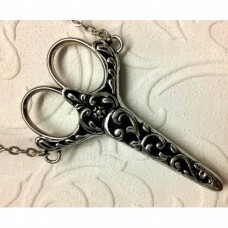 The scissors measure 2.75” ..
Pewter Chatelaine Celtic Design 3.5"
Excellent quality Pewter Chatelaine and silver embroidery scissors. 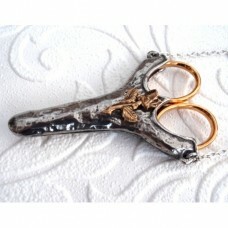 The scissors measure 3.5” long a..
Pewter Chatelaine English Rose 2.75"
Excellent quality Pewter Chatelaine with a hammered effect and a gold plated Rose motif. Gold Etui s.. 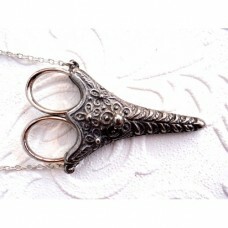 Excellent quality Pewter Chatelaine and silver Rococco embroidery scissors. 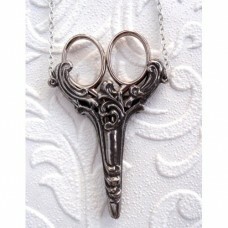 The scissors measure 3.5..
Pewter Chatelaine Jasmine Design 2.75"
Pewter Chatelaine Rococco Design 2.75"
Pewter Chatelaine Scroll Design 2.75"